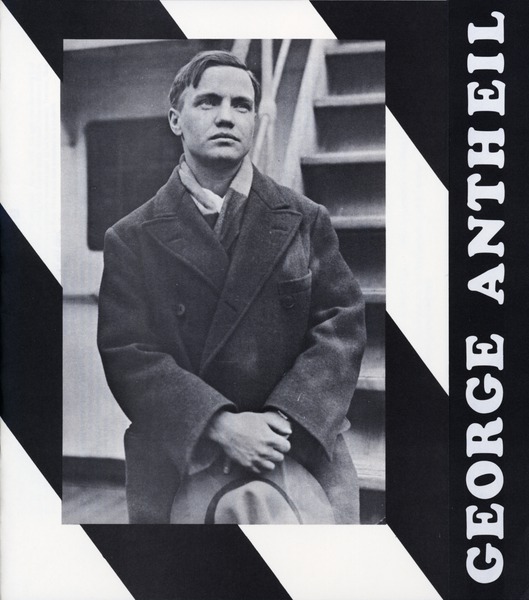 On November 20, 1970, KPFA and Charles Amirkhanian presented a concert featuring many of the early works of George Antheil to a sold-out Hertz Hall on the U. C. Berkeley campus. This historic concert launched a revival of interest in Antheil's early music, most of which had not been performed since the mid-1920s. 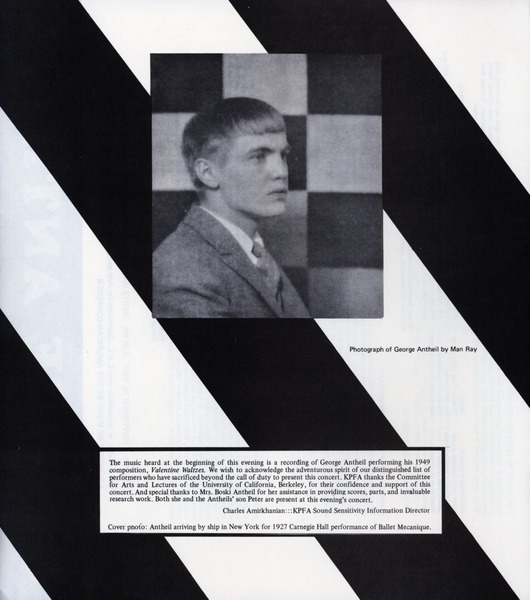 The program features “Airplane Sonata”, “Sonata No. 2 for violin and piano with drums”, “La Femme 100 Têtes”, “Five Songs (on the Text of Adelaide Crapsey)”, and “Symphony for Five Instruments”. 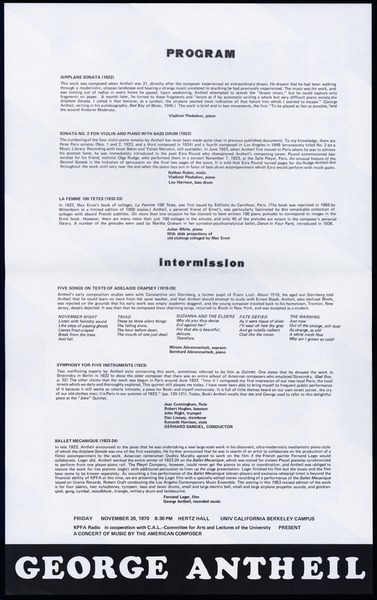 During the actual concert images of the etching by Max Ernst that were the inspiration for the 45 preludes that comprise “La Femme 100 Têtes” were projected. The concert also included a showing of the experimental film “Ballet Mécanique” by Dudley Murphy and Fernand Léger, with cinematography by Man Ray for which Antheil had composed the score, however, unfortunately this is not included in this concert recording.